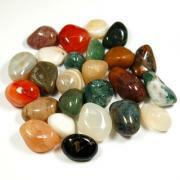 7 Chakra Tumbled Chips Necklaces Assortment #2 — This is a beautiful set of 7 different Tumbled Chips Necklaces from India. 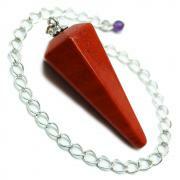 They are available in 18" and 36" with a silver-plated lobster clasp. 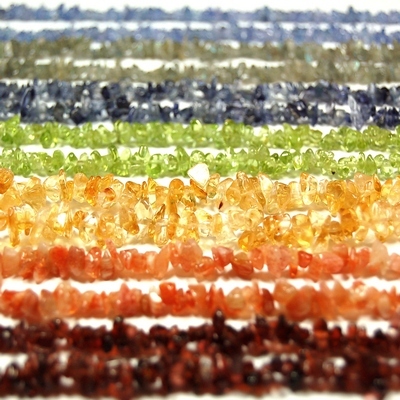 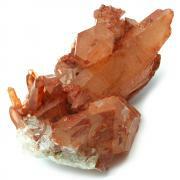 These Chakra crystals have been specifically chosen for working with the 7 Chakras. 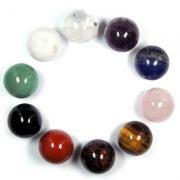 Each gemstone serves to activate a different chakra. 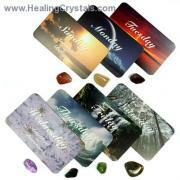 A perfect gift for yourself or anyone who wants to activate and balance their chakras all day long.